June 29, 2016, 12:13 p.m.
“We’re looking now for a mediamaker — whether a traditional filmmaker, an online video creator or a developer who uses code — to merge storytelling and social platforms to create a conversation that’s entirely new,” Adnaan Wasey, POV’s digital executive producer, said in a press release. The collaboration is funded by the John D. and Catherine T. MacArthur Foundation, which is “actively encouraging collaborations at the intersection of documentary storytelling techniques and digital journalism,” according to the foundation’s Kathy Im. In 2013, American Documentary Inc., producer of POV, was one of 13 nonprofits to receive the MacArthur Award for Creative and Effective Institutions, receiving $1 million from the Foundation. The partners are currently seeking pitches from mediamakers, who would work with the Times team for 20 weeks. Apply here; the deadline’s July 25. Screenshot via The New York Times; illustration by T.S. Abe. Washington-Harmon, Taylyn. "With MacArthur funding, POV and The New York Times will produce an interactive documentary on race." Nieman Journalism Lab. Nieman Foundation for Journalism at Harvard, 29 Jun. 2016. Web. 20 Apr. 2019. Washington-Harmon, Taylyn. 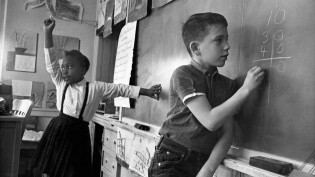 "With MacArthur funding, POV and The New York Times will produce an interactive documentary on race." Nieman Journalism Lab. Last modified June 29, 2016. 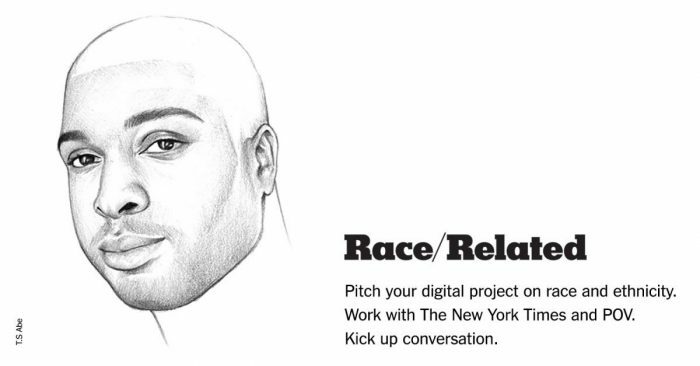 Accessed April 20, 2019. https://www.niemanlab.org/2016/06/with-macarthur-funding-pov-and-the-new-york-times-will-produce-an-interactive-documentary-on-race/.